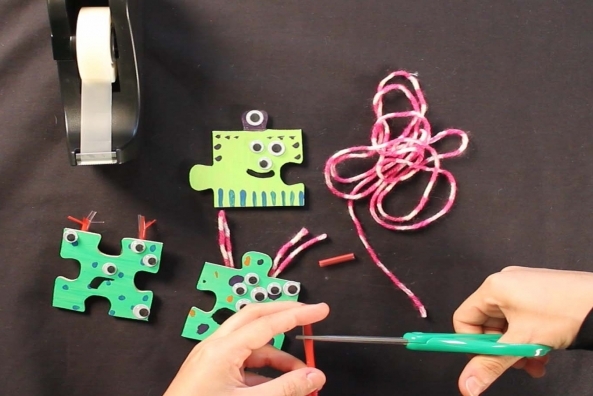 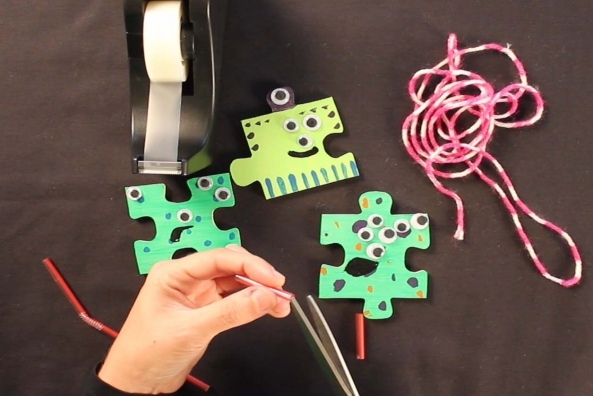 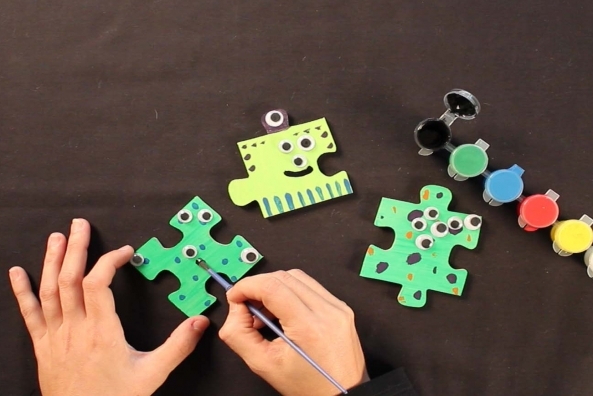 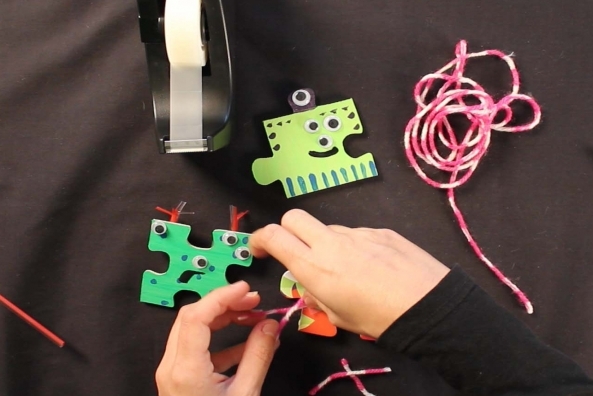 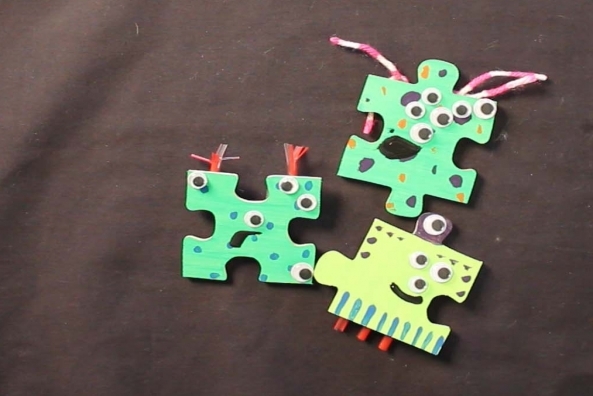 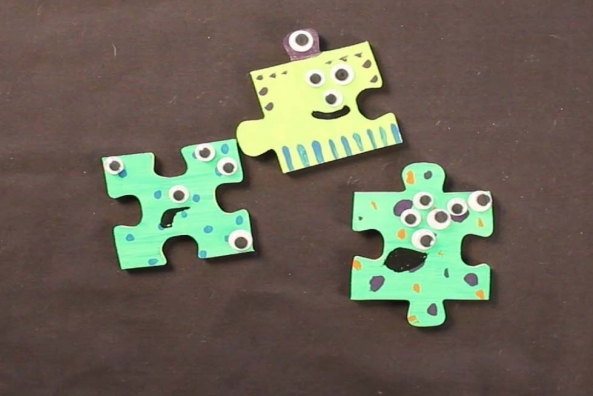 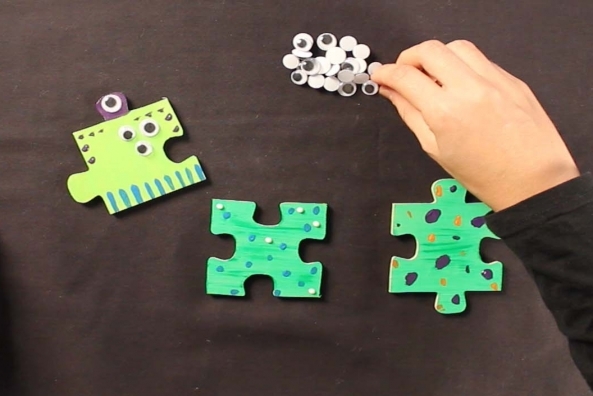 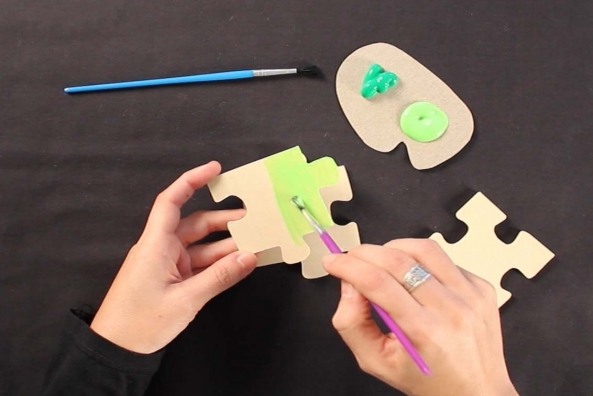 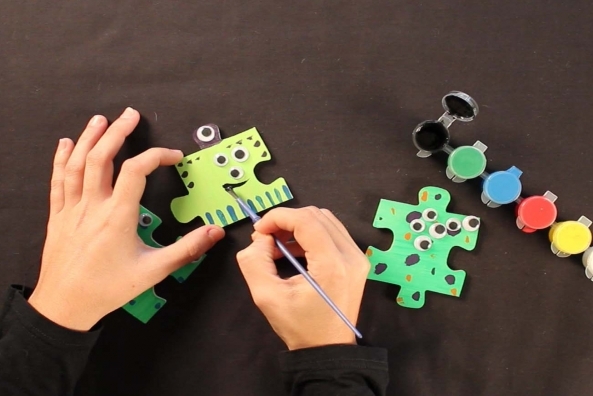 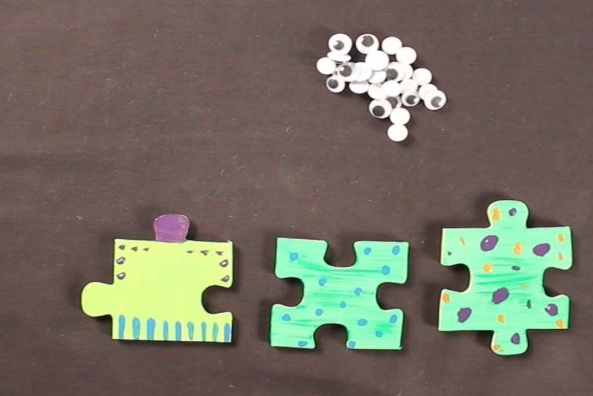 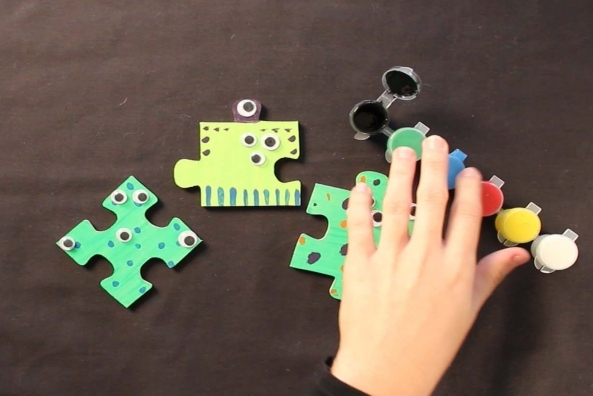 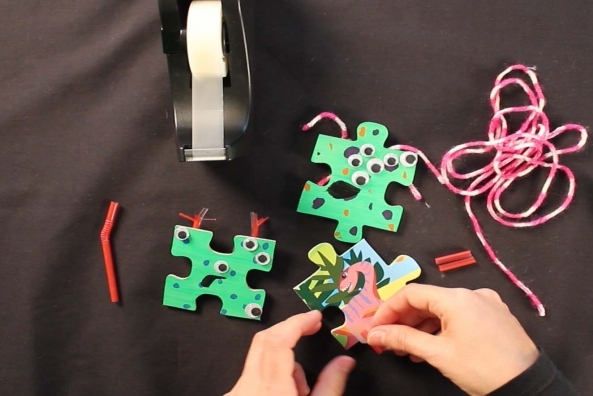 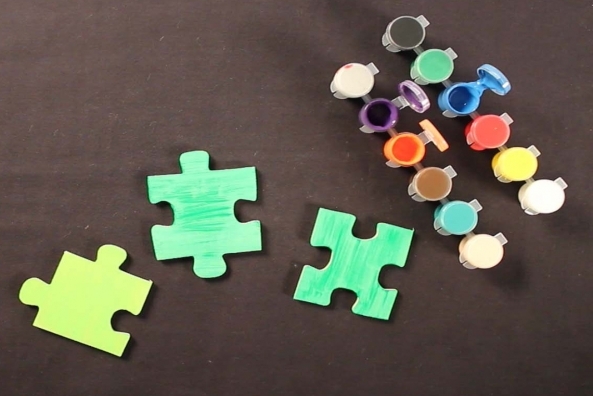 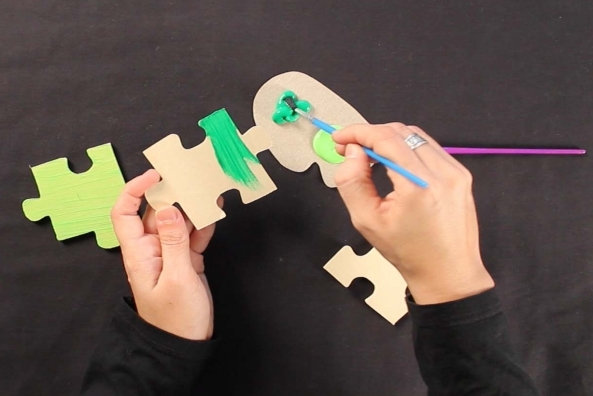 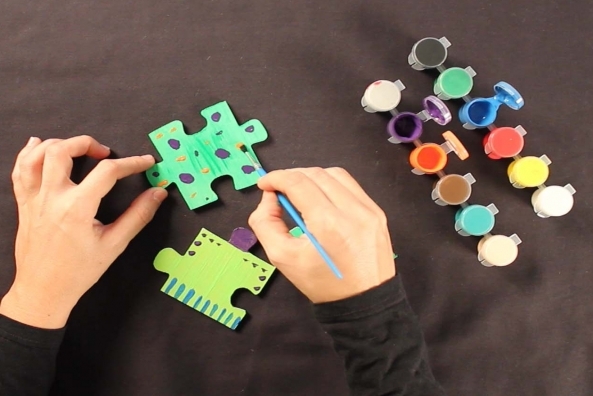 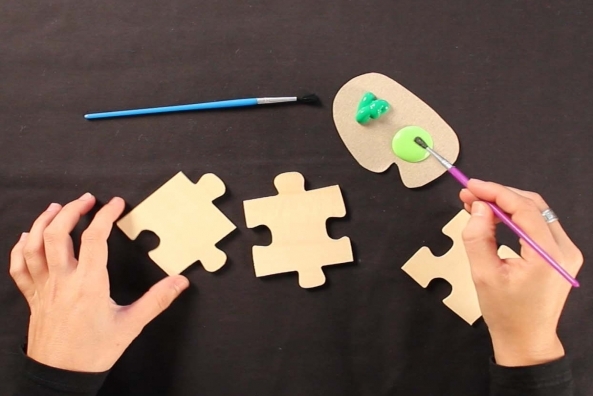 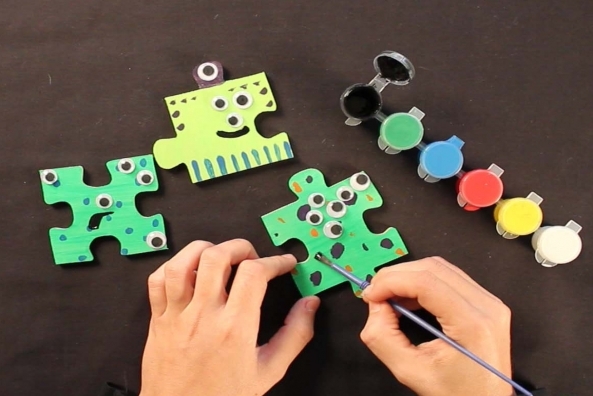 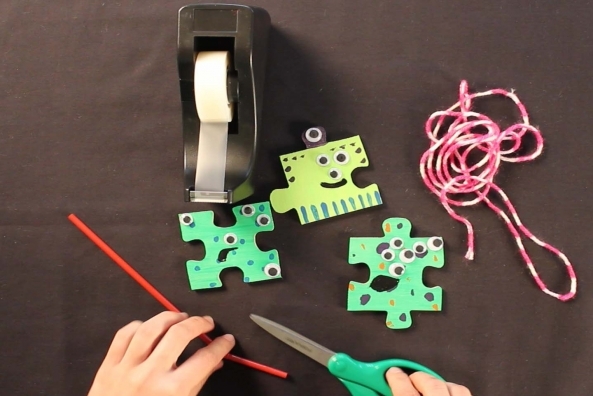 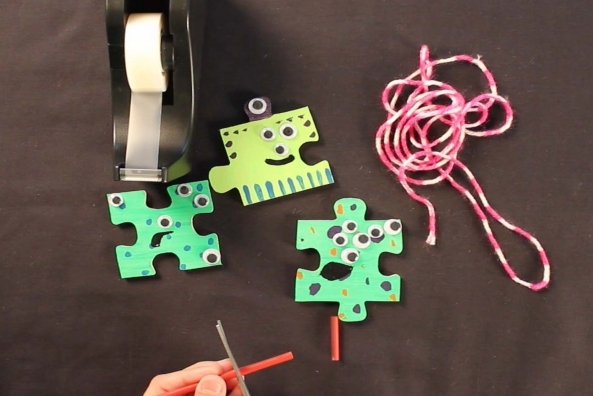 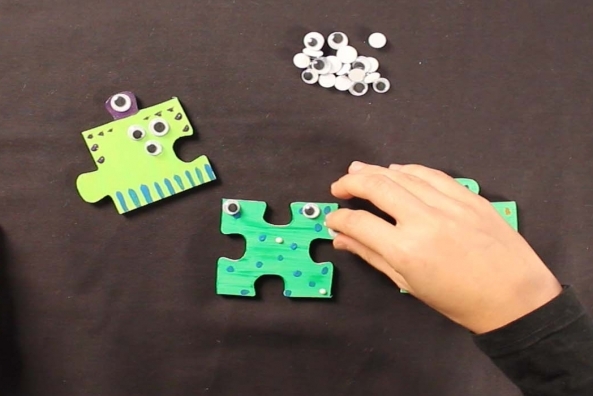 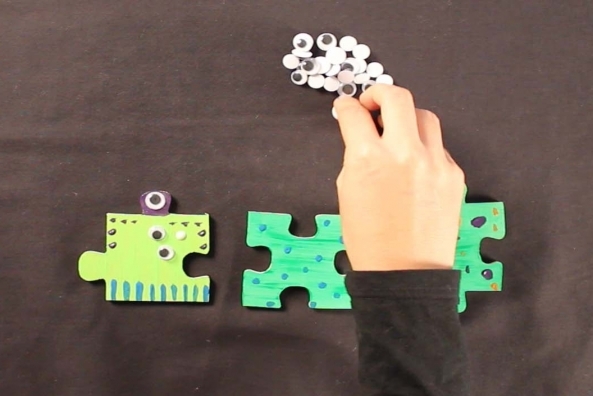 Take old puzzle pieces and turn them into aliens from outer space. 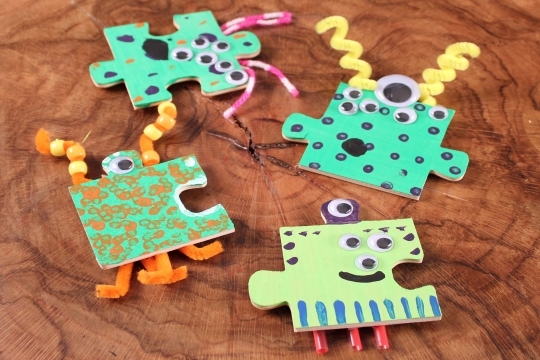 Hang them from your ceiling or put a magnet on the back for the fridge. 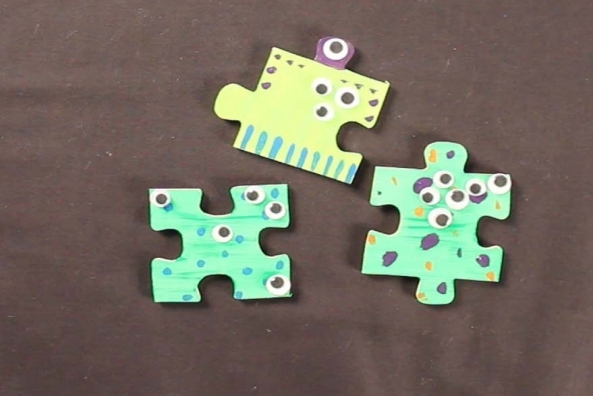 This craft is out of this world! 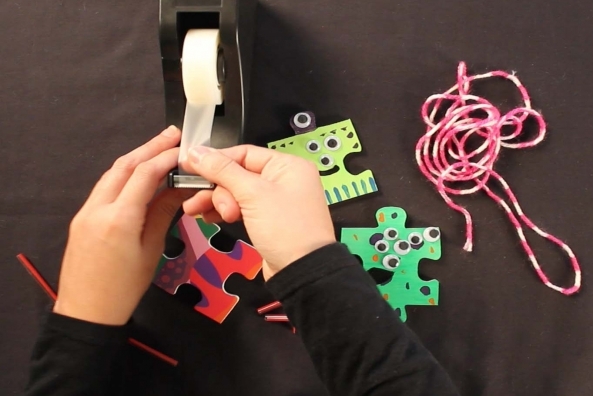 Have fun learning about historical events. 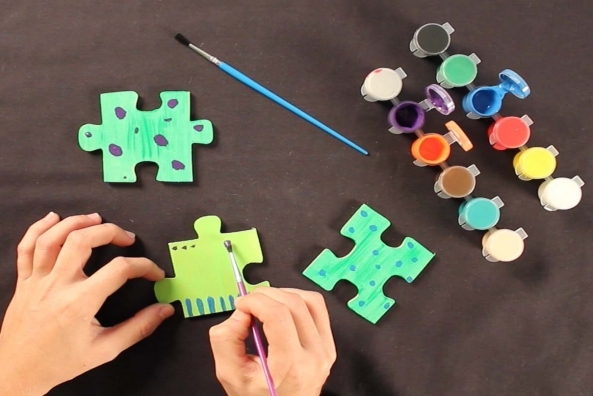 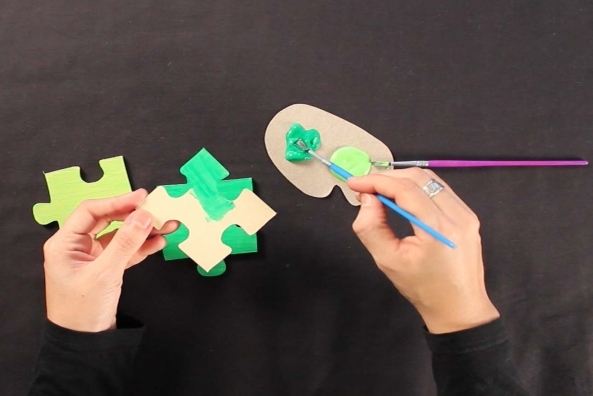 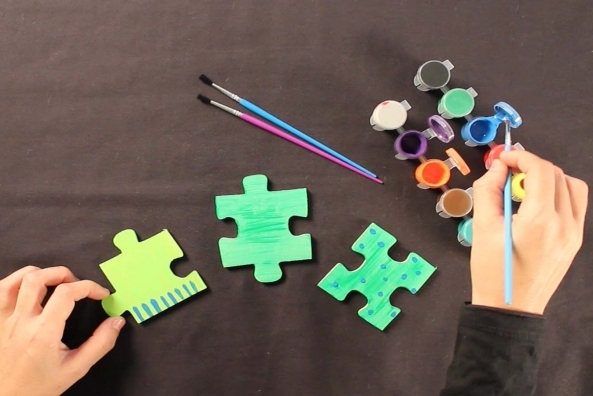 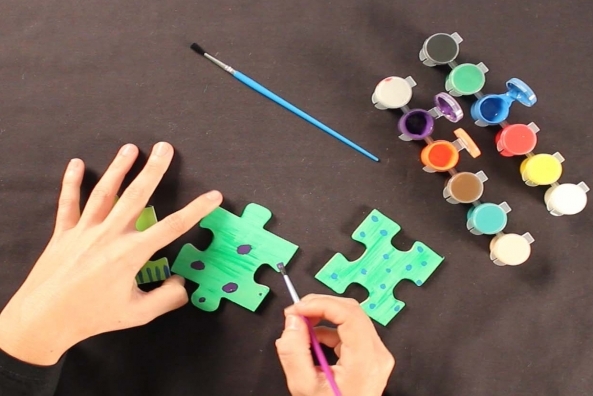 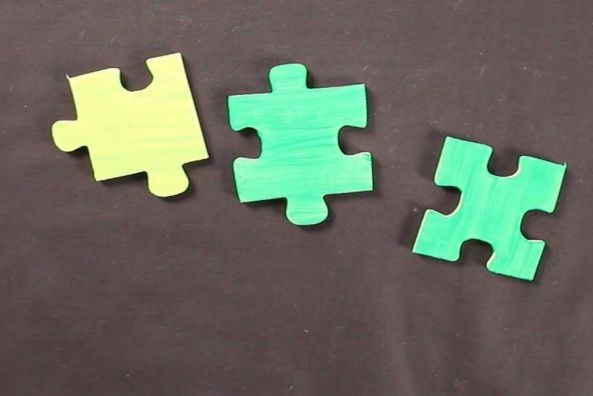 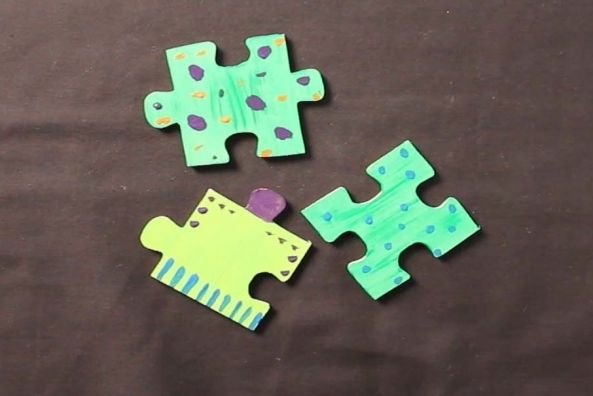 Paint your puzzle piece green. 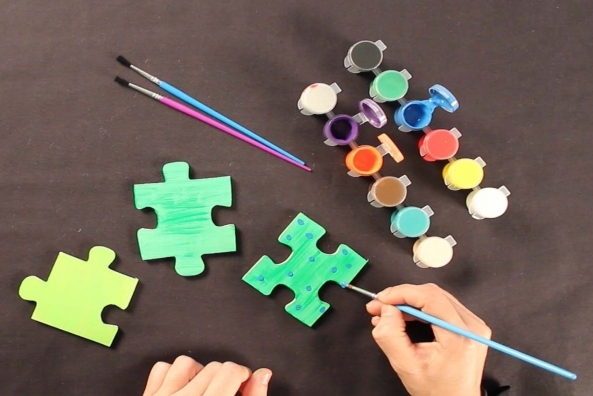 Add spots, stripes, or other designs with additional paint. 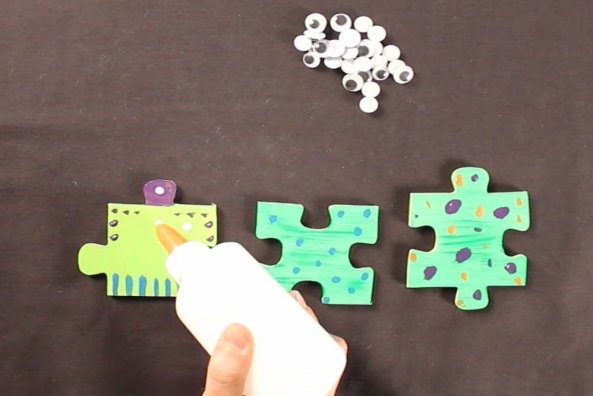 Glue on as few or as many wiggly eyes as you’d like. 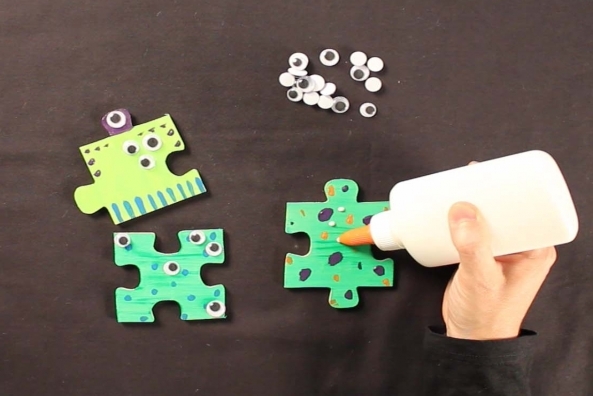 Paint a mouth onto your alien with black paint. 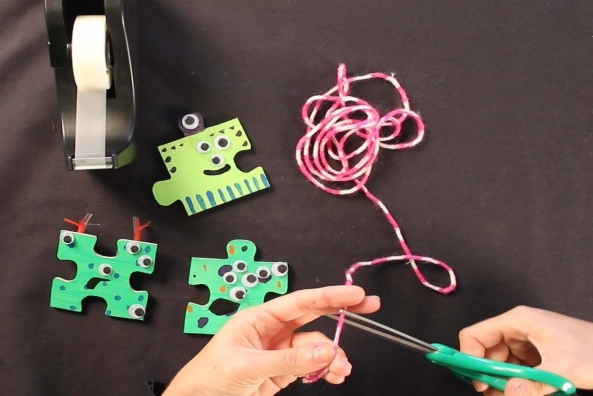 Add antennas using straws and/or hair using yarn.